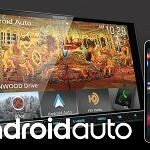 Despite Android Auto being one of the most used operating systems available worldwide for modern car head units (alongside Apple’s CarPlay), it has a lot of shortcomings. One of the biggest ones being that most Android Auto-powered head units don’t have the ability to connect to your device wirelessly. This is set to change, but in order to get wireless capabilities, consumers would have to upgrade their cars or their head units, and probably their phones too. This kind of upgrade is out of most people’s budget—main reason why XDA Recognized Developer Emil Borconi is currently working on a workaround. The whole concept is pretty simple: plug in an auxiliary Android-powered device— it could be an old Android TV stick or a spare throwaway phone—and a basic app will allow you to use it as a Wi-Fi receiver. It’s probably not the most elegant solution, but it does work. It’s currently in a proof-of-concept stage, but once it’s finished, it could prove to be immensely useful for existing Android Auto users. If you’re interested in this development, be sure to hop into the official thread below. Check out the video to see the development in action.